Posted on Wednesday, April 18th, 2012 at 3:44 pm. Last updated on June 9, 2017. Posted August 13th, 2018 at 11:02 pm | Log in to reply. 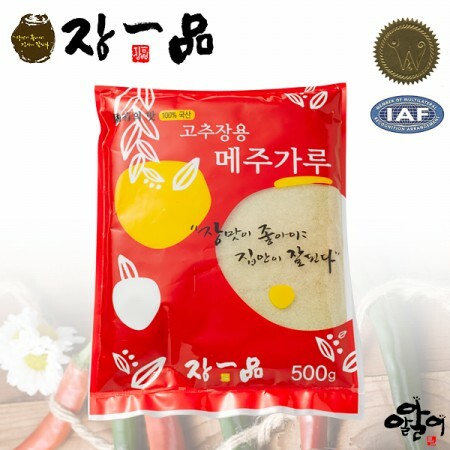 It’s hard to find it here in Indonesia.. I’m trying to open a one stop korean food store online and offline, and I’m thinking of add tteokboki to the menu. I Sold kimchi and it succeed. But the problem with me is I want to make everything from scratch.. Even with the gochujang, but I think it’s too hard because I can’t find some of the ingredients..
Posted April 4th, 2018 at 10:59 am | Log in to reply. Would it work with plain soy flour? Posted August 13th, 2018 at 11:03 pm | Log in to reply. Posted February 17th, 2018 at 12:24 pm | Log in to reply. Hi maangchi regarding the mejugaru, is there many different brand out there? Can I just buy anyone as long it written mejugaru? Posted February 17th, 2018 at 2:10 pm | Log in to reply. Yes, I don’t have any particular brand I use. 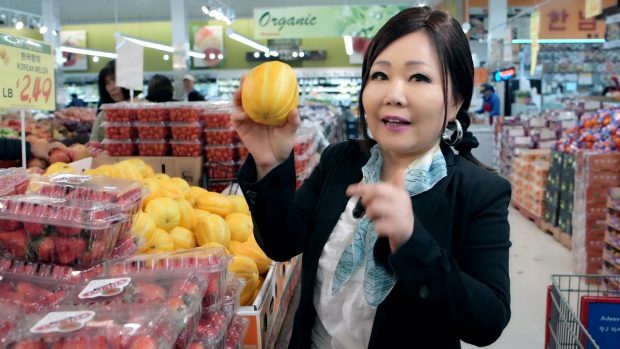 But make sure to ask your grocery store owner if the mejugaru is for making doenjang (Korean soybean paste). Posted February 18th, 2018 at 4:17 am | Log in to reply. Posted February 18th, 2018 at 4:18 am | Log in to reply. Posted February 18th, 2018 at 4:19 am | Log in to reply. Posted February 18th, 2018 at 4:22 am | Log in to reply. Choice 5 which will be the best choice? Posted September 29th, 2017 at 9:21 pm | Log in to reply. Hi Ms Maangchi! 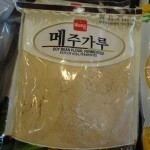 I am interested in making my own gochujang – the link you have to the Amazon.com product – it shows only as “soybean powder” – is this the same as the fermented soybean powder I need for your gochujang recipe? Thanks! Posted September 30th, 2017 at 4:31 am | Log in to reply. If, so, yes that’s meju-garu (fermented soybean powder). Good luck! Posted September 30th, 2017 at 10:26 pm | Log in to reply. Yassss!! That is great news and thank you for confirming! I did some recon the last time I was at the asian grocery store (about an hour away), and they seem to have all the ingredients to make gochujang except for the fermented soy bean powder. I will get this from your amazon link. I need to carefully plan out my next shopping trip with your recipe and ingredient list so I don’t forget anything on my next visit. They even have different sizes of onggi available to purchase! Posted May 4th, 2013 at 2:07 am | Log in to reply. I’m thinking about brewing my own soy sauce/bean paste. Is Mejugaru a powdered form of the bean blocks used in making soy sauce and bean paste?